At the Book Launch on November 5, 2015 Marc Frisch and Gary Rand, whose dedication led them to initiate the project that became "A Stitch in Time" and to devote so much of themselves to it, spoke of their family enterprises. It was from their hearts. The large crowd that had come to the Cleveland History Center that evening could also think of their own parents or grandparents, some back four generations, for many Cleveland Jewish families were connected to the industry. "A Stitch in Time" reached back in time for materials already in the archive, tapped the vast resources of the WRHS, and reached out into the community to gather more documents, photos, anecdotes and oral histories. Only an institution like the WRHS with the strong relationship it has with our Jewish community could have achieved this splendid result. "Sean's text presents a story of individual vision, of the willingness to take risks, and of the vicissitudes, large or small, that everyone who starts a business must confront. But more so, it also contains the stories of workers, the neighborhoods in which hey lived, and of a city that bustled with diversity and the interplay of people who had come to it looking for tolerance and opportunity." In recent years the WRHS has expanded its web-based content including finding aids and images. I hope we will soon be able to enjoy garment industry images and oral histories, including those recorded more than 30 years ago by Stanley Garfinkel. 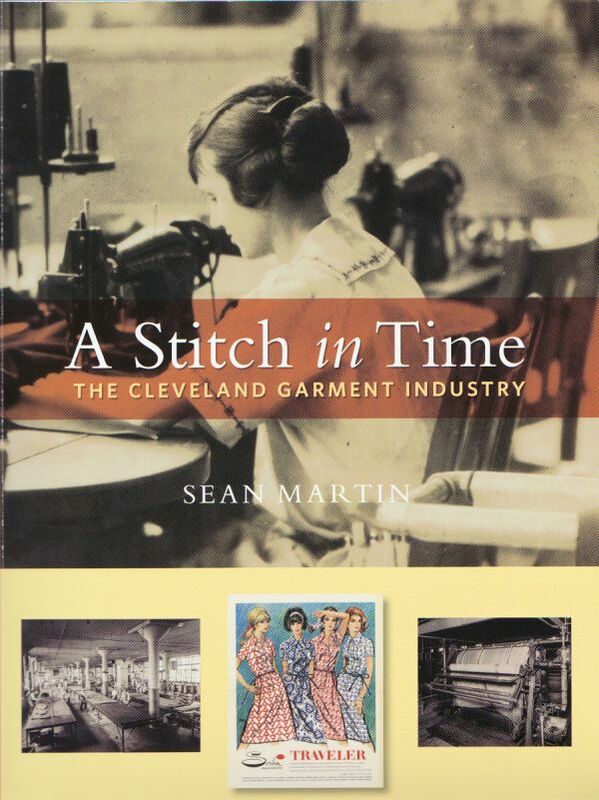 You can buy "A Stitch in Time" at the gift shops of the Cleveland History Center of the WRHS in University Circle and at the Maltz Museum of Jewish Heritage in Beachwood. Price: $34.95 less your member discount. Not a member? They can sign you up! Visit the WRHS page on "A Stitch in Time"